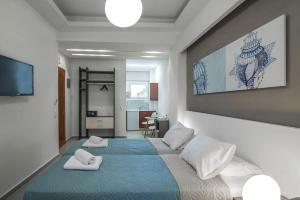 Very nice rooms, excellent location, friendly people, the cookies and raki were a nice touch. The room was nice. A view of the sea. It was quite comfortable. The staff were nice and welcoming. The apartment was a few meters from the beach and a short walk to lots of restaurants. The staff were extremely friendly and helpful. Beautiful apartment. Lovely apartments by the sea. clean and comfortable, highly recommended! The appartment is located near the sea and is very quiet. We had a very spacios appartment and clean every day. We really had a grea time there. 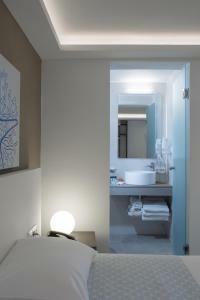 Recently renovated hotel with a kitchen fully equipped. 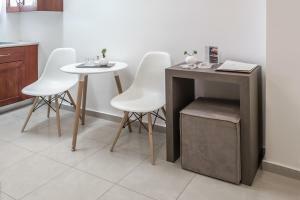 It is located on a very quiet street close to the beach.the apartment was very clean with strong wifi connection,everything was perfect. Lock in a great price for Coral Apartments – rated 8.5 by recent guests! Coral Apartments This rating is a reflection of how the property compares to the industry standard when it comes to price, facilities and services available. It's based on a self-evaluation by the property. Use this rating to help choose your stay! 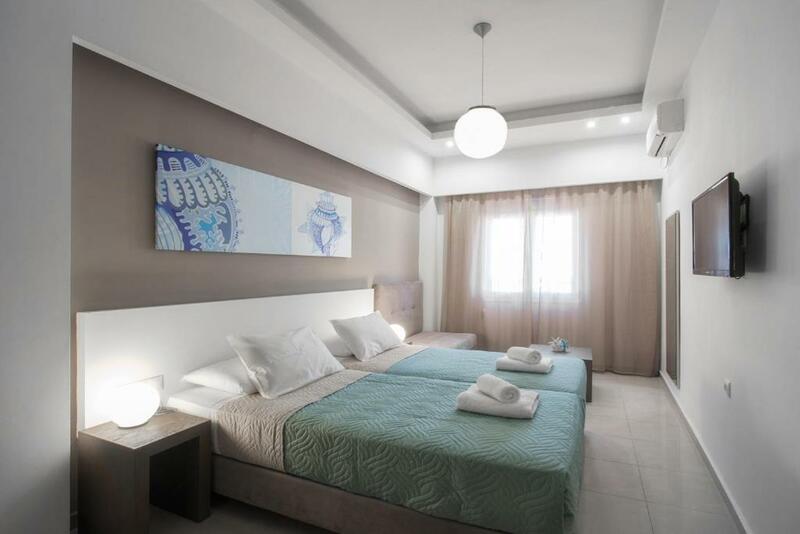 Coral Apartments offers modernly decorated, self-catering accommodations in Ierápetra, just 100 feet from the nearest Blue Flag beach and 1,000 feet from the lively center. Free WiFi is available throughout the property and free public parking is possible nearby. Fitted with well-chosen furnishings and soft colors, all units come equipped with a 32" flat-screen TV, a safe and an iron. 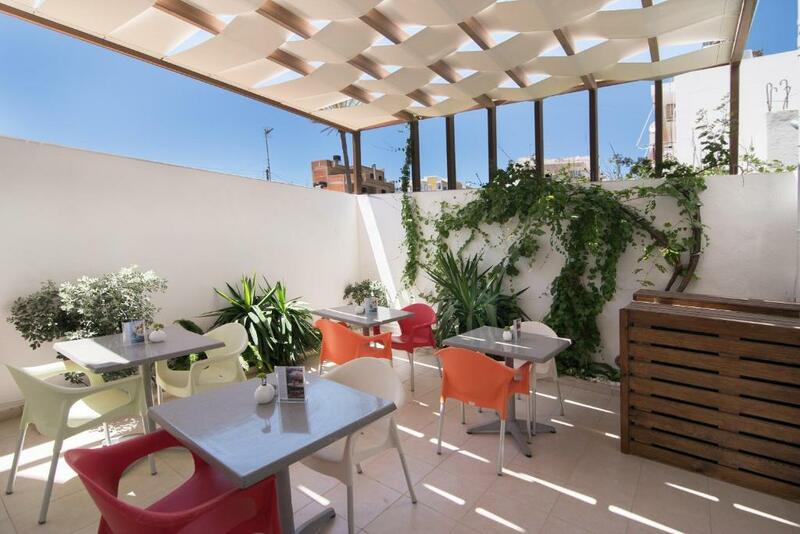 Most open to a terrace and/or balcony with views over the Libyan Sea or the garden. There is also a kitchen, equipped with a refrigerator, electric kettle, coffee machine and stovetop. A public, open-air gym, where guests can exercise daily, is located next the the apartments, while a local street market taking place every Saturday can be reached within a short walk. Ágios Nikólaos is 12 mi from Coral Apartments, while the vibrant Mália is 24 mi away. The nearest airport is Sitia Public Airport, 25 mi from Coral Apartments, while Heraklion Airport is at 59 mi. Chersonissos is at a distance of 29 mi. This apartment features a soundproofing, electric kettle and patio. Please note that there is no balcony, but there are windows with city and garden views. This apartment has a sea view, soundproofing and balcony. This apartment includes a fully equipped kitchenette, a flat-screen TV and a private bathroom. This apartment has a electric kettle, tile/marble floor and stovetop. 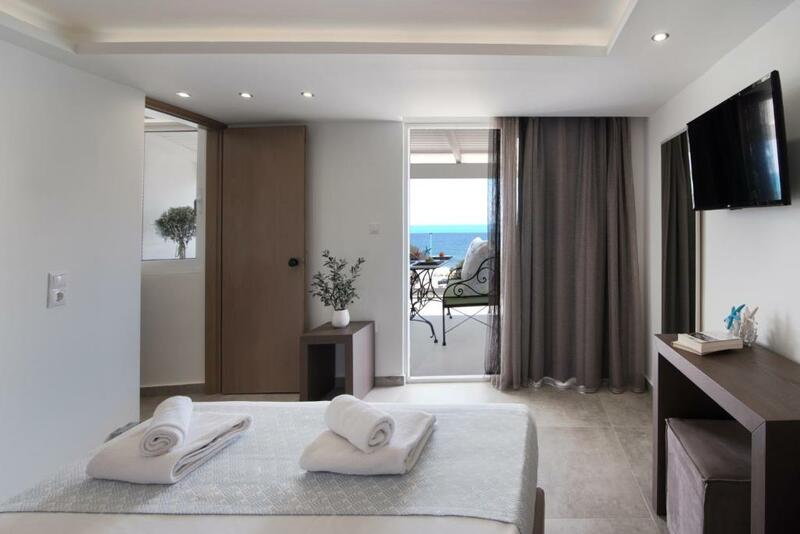 Elegantly furnished apartments, fully renovated in soft tones colors, with modern furnishings, beautiful decorative objects, and smart lighting provide comfort, elegance, romantic and relaxing atmosphere, everything that an accommodation requires. From 25 sq. to 40 sq. can accommodate 1 to 4 guests. Enjoy from the balcony or the terrace of the apartments the unparalleled view of Libyan Sea, the city and the amazing sunset on the southernmost tip of Europe. Coral Apartments accepts these cards and reserves the right to temporarily hold an amount prior to arrival. Please note that the check-in and key-collection take place at Plateia Eleftherias 19, 72200, Ierapetra, Coral Boutique Hotel. Please note that breakfast consisting of Cretan products can be enjoyed at the cafe/bar of Coral Boutique Hotel from 07:30 until 11:00. Please note that check-in and key collection take place at: Plateia Eleftherias 19, Ierapetra 72200. The check in was quite haphazard, it wasn't very organised. It is 1 hour 28 mins from Heraklion airport. Which is a stretch. The cleaning wasn't thorough, there wasn't a tidy aspect to it. Towels weren't placed well, empty used bottles weren't thrown away and you had to wash your dishes yourself, which for an apartment lodging is quite weird. Comfy bed, Close to reasonable beach. Good view from roof top apartment. Lift available to one floor below. Short walk to Saturday market. was a bit confused as to where to pick up keys as check in was at a different location than the apartments. Really excellent apartment, great size and location. Couldn't have asked for better!! Highly recommend - pictures don't do it justice! The apartment could be a bit cleaner from day to day. 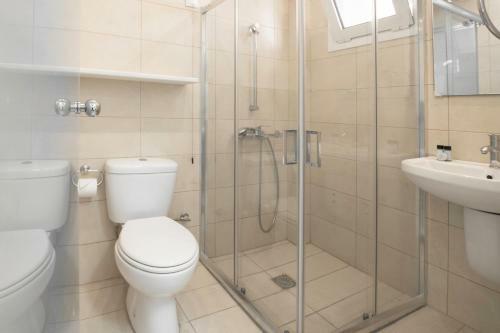 Spacious, modern, nice decorated apartment. Very comfortable bed, well equipped kitchen, strong wifi. Nice location, just 5min walk from city center, less than a minute from the beach. Spacious parking just outside the apartments. Booking photos are quite representative of the apartment. Very polite and helpful staff, especially the lady in the reception who gave us valuable advice for our stay in Ierapetra, as also facilitated us by booking our tickets for Chrysi island upon our request! As an overall, Coral Apartments are highly recommended!